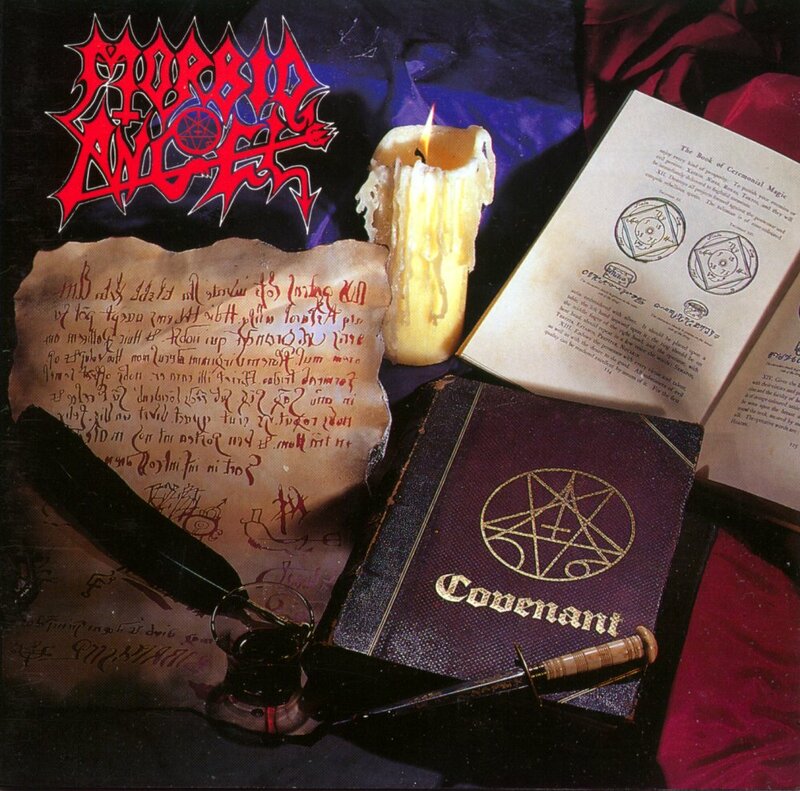 “Covenant” is where Florida luminaries Morbid Angel reached the zenith of its writing. Building further upon the groundwork laid with the preceding album, the band sought to push boundaries on all fronts. Marred by interpersonal trouble during pre-production the band had something to prove, and “Covenant” sounds so much better for it. Subtly melodic, highly atmospheric, bone-dustingly heavy and crunchy in its onslaught the band spared no expenses making this the best it could possibly be. It probably has Morbid Angel at its creative peak, and the blood-curdling aggression is offset by its oppressive atmosphere and deeply misanthropic lyrical subject matter. Third time is the charm for these Florida natives, and “Covenant” is a high-water mark for a good reason. Second guitarist Richard Brunelle had bowed out prior for, to his own admittance, not trying hard enough. 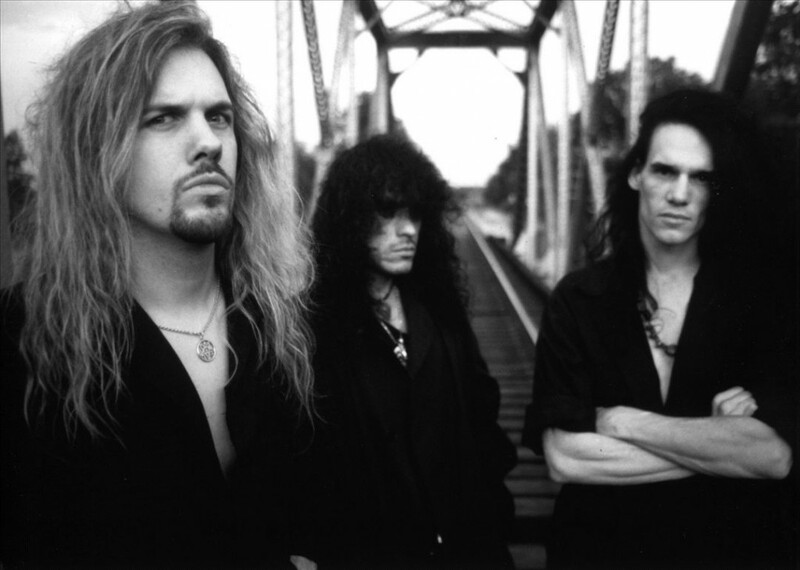 Morbid Angel persevered in the face of tribulation and wrote the album as a power trio. Although more straightforward, confrontational and direct compared to its more conceptually and musically ambitious precedessor, it is exactly the hardship that pushed the band to its limits. Combining the best traits of the two preceding records “Covenant” is a highly functional and ornately designed exercise in classic death metal. Not a moment is wasted, and everything is there for a reason. Experimentation had always been the band’s calling card, but it only surfaces here in the form of the ‘Nar Matturu’ instrumental which largely functions as a segue to the epic and lauded album closer ‘God Of Emptiness’. “Covenant” is a refinement of the sound of the preceding album, yet much of the riffing is reminiscent of the thrash-oriented “Altars Of Madness” record. As such it is no surprise that Morbid Angel opted to re-record one of its early demo tracks here, as it was a perfect match for the type riffing this album so heavily capitalized on. Pedro Sandoval is in fine form, and his work behind the kit is among his best next to the out of control sounding debut. Overall there’s a distinct current of thrash metal running beneath these tracks. ‘The Lion’s Den’, for example, opens with a riff that could have been lifted from one of the earlier Sepultura records. Along with “Blessed Are the Sick” this album holds the best performance from vocalist/bass guitarist David Vincent, whose bellowing grunts and demonic narrations sound truly unearthly here. Although guttural for the time, there’s a serpentine sneer to Vincent’s vocals that wasn’t heard before or since. Of note is how well enunciated his vocals became from “Blessed Are the Sick” onwards. Especially New York pillars Incantation, the lamentable Mortician, and famous technical pioneers Suffocation were pushing the genre in more guttural territory. Morbid Angel was thrashier in its assault at this juncture. Only Yonkers combo Immolation was doing something similar at the time. Despite betting on two horses the band pull it off with remarkable consistency, and nothing of it ever feels contrived or forced. ‘Angel Of Disease’ is a re-recorded cut off the band’s aborted “Abominations Of Desolation” sessions, and another instance of the band recycling archive material that was several years old by this point. The track is custodian to some of the finest and most engrossing bass lines that Vincent would ever commit to tape with this band. Although one is hardpressed to credit Vincent for these particular lines as it was often forgotten bass guitarist John Ortega who’s responsible for writing them. Vincent’s vocal style on this cut also recalls the earlier days of “Altars Of Madness” in that it is higher-pitched and very much reminiscent of Sepultura circa “Beneath the Remains”. In comparison to the original Vincent’s vocals are still much throatier. The minimalist ambient piece ‘Nar Matturu’ comes in at exactly the right time, and forms a great atmospheric segue to ‘God Of Emptiness’, the lauded signature track of this session. Everything the band attempted on this record is contained within that one cut. “Covenant” continues with the occult imagery of the preceding record, and its themes. The album's cover artwork shows a page from “The Book of Ceremonial Magic” by Arthur Edward Waite to the right, and a digital reproduction of "The Pact of Urbain Grandier" on the left. The simplicity of the composition is one of its greatest strengths. It is almost mundane in what in that it depicts a still life of an occultist’s study. There is nothing confrontational, or offensive about it. A feather pen, a still lit white candle, a scroll and an old tome are its primary components, yet coupled with the misanthropic and sometimes Satanic lyrical themes it becomes all the more powerful. On all fronts Morbid Angel has honed its sound to utmost perfection. From ominous dirges to blasting fury and thrashing violence – it’s all here, and not a minute of its feels contrived or uninspired. There was a vision for this record, and within those criterions the trio pushed themselves to the limit of their abilities. The best art is made under duress. Crafted at Morrisound Studios as a trio with Tom Morris and the band producing. The final tapes were sent to Copenhagen, Denmark for famed thrash metal guru Flemming Rasmussen to mix down at his Sweet Silence Studios. The production is the epitome of the classic 90s sound with audible deep bass guitar lines, a crunchy and concrete rhythm guitar tone along with sparkly sounding leads/solos and a massive but entirely organic sounding drumkit. This rings especially true for the rumbling kickdrums that sound commanding and thundering. Everything gels perfectly and nowhere does the album sound overproduced. In fact there’s an undiluted rawness to the crunchy guitar tone and the vocal production that greatly amplifies the ravenous sound the band had created. Subsequent albums would either push the band into inert sterility or rough and unfinished pre-production territory. It appears that Morbid Angel were never again able to recapture the alchemy present here, although “Gateways to Annihilation” came close. This is the first of two records to be handled in North America by Giant Records, a Warner Bros. Records subsidiary label that largely dealt with mainstream popular music, r&b and country music. The partnership between both imprints was to bring extreme metal to a wider audience who were clamoring for it, and in the process create revenue for both labels. “Covenant” shifted over 130.000 copies in the US alone, and is widely considered to be one of the best-selling death metal records of all time. It was also the only Morbid Angel record to carry - at least on an early pressing - a “parental advistory” sticker as a fabricated marketing ploy to get more attention for the album. Many artists across a variety of genres were mocking or parodying the PMRC around the time this album hit the market. As a marketing gimmick it was a clever move from all involved, but common sense prevailed and it was removed from later pressings. Due to the increased promotional leverage offered by the major label two promo videos were shot to push the album. ‘Rapture’ and ‘God Of Emptiness’ were chosen for the treatment. It is the last hurrah for a band whose career trajectory took some odd turns in the later years, and with the return of David Vincent. “Covenant” is a testament to brighter days. “Gods Forgotten Orbit”, the debut of German atmospheric metal combo Odetosun, is a fresh take on a subgenre that was last popular in the 1990s. Featuring prominent bass guitar licks, and floating melodies “Gods Forgotten Orbit” is part of a minor resurgence of a sound that the likes of Alastis and Tiamat pioneered during the 90s. Odetosun is however a good deal heavier, and technical in its playing compared to the earlier bands. In many ways Odetosun is a metal equivalent of the David Gilmour-fronted Pink Floyd. 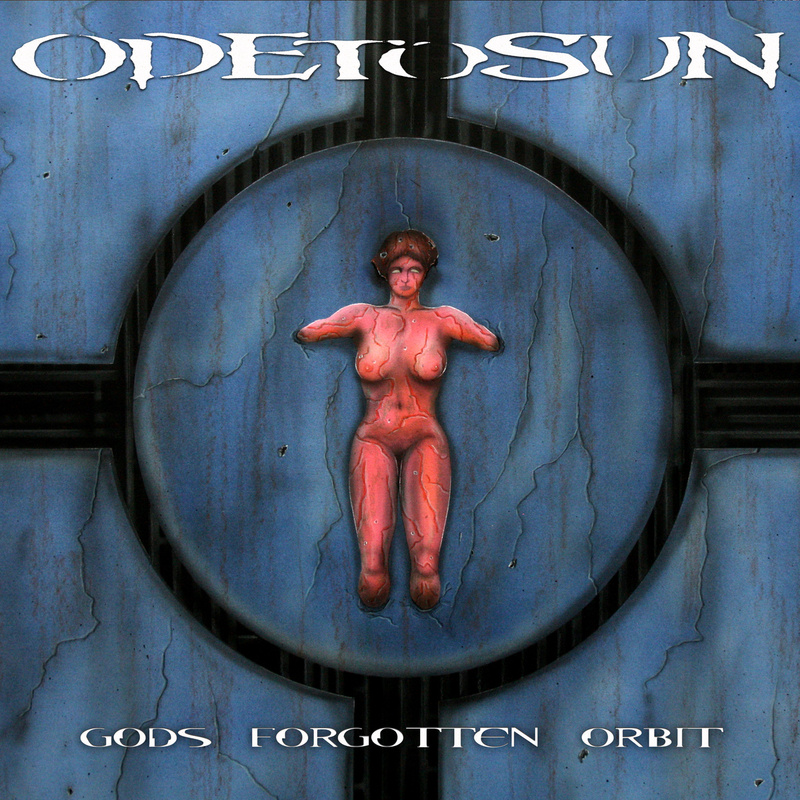 Odetosun was formed in Ausburg, Germany in 2008 as the Viking metal band Oden’s Raven, who released a solitary album before changing names and musical direction in 2012. 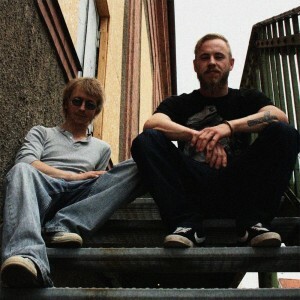 The band consists of siblings Benny Stuchly (electronic/acoustic guitar, bass guitar, synthesizer), Luke Stuchly (vocals), along with Oden’s Raven alumnus Gunther Rehmer (drums). The band is part of a relatively new movement of atmospheric metal bands that draw inspiration from 1970s UK psychedelic rock band Pink Floyd. Like the stylistically similar Nümph this band also focuses on serene atmosphere over brutality. The band’s lyrics deal with cosmic themes, and astral phenomena. When interpreting this celestial imagery on a metaphorical level the lyrics are incredibly profound and meaningful. ‘Cracking the Shell Of Calypso’ is about one of the Nereids (sea nymphs) mentioned in Homer’s Odyssey in Greek mythology, or alternatively about the well known planetary sattelite moon of the planet Saturn. Metaphorically, it is about the finding of knowledge. ‘Veil Of Leviathan’ details the Kundalini, an indwelling spiritual energy, usually represented as either a goddess or a sleeping serpent, that must be awakened for the seeker of truth to reach divine union. The Leviathan in the title refers to the celestial dragon, as in the constellation of Draco, that holds of the pearl of wisdom in its jaw. The dragon must be slain in order to reach enlightenment. ‘Journey to Gliese’ is an instrumental track about Gliese, the triple-star system in the constellation of Libra. ‘Cracking the Shell Of Calypse’ opens with the band’s signature pumping bass guitar. The track has amazing guitar work that is melodic, floating and entirely death metal. ‘Veil Of Leviathan’ has a swirling guitar riff and is the most conventionally death metal track of the record. While more straightforward in its first half, the second half proves the song’s true strenght as it fuses atmosphere with battering riffing. ‘Eclipse Chaser’ is in the vein of the opening track again. The processed vocals are redeemed by the fragile acoustic guitar and keyboard segment that concludes the song. ‘Journey to Gliese’ is a compelling atmospheric instrumental song that arrives just at the right time in the middle of the record. ‘The Swarming Infinity’ concludes with an extended David Gilmour alike solo. Among the standout tracks of the record are ‘Cracking the Shell Of Calypso’, ‘Eclipse Chaser’, the entirely instrumental ‘Journey to Gliese’ and ‘The Swarming Infinity’. The tasteful vocoder parts in the title track, and its extended soaring David Gilmour guitar solo push the album towards an atmospheric/emotive apex in its closing. Opposite of its contemporaries the bass guitar is the lead instrument for Odetosun’s music, and the guitars mostly function as rhythmic support except when there’s a lead/solo section. While Odetosun is death metal in form it functions in the same as the David Gilmour fronted Pink Floyd albums. Understandably the trio is at its best when it is at its most atmospheric, and least conventionally death metal. In fact the least impressive aspect of Odetosun is its death metal, and the trio would be better off fully embracing its technical – and atmospheric inclinations on future material. The band’s strongest material resembles Pink Floyd’s “The Division Bell” in various ways. As with its British inspirations there’s a sense of sadness that looms over “Gods Forgotten Orbit”. ‘Journey to Gliese’ is Odetosun’s equivalent to Pink Floyd’s ‘Marooned’ or ‘One Of These Days’. All songs were written by multi-instrumentalist and producer Benny Stuchly, with exception of ‘Eclipse Chaser‘ that was co-written with Peter Schmid. The album was recorded in varous sessions between August 2012 and March 2013 in the band’s homestudio. Multi-instrumentalist and main creative force Benny Stuchly was responsible for producing and engineering. Compared to label sanctioned releases there’s a sense of openness to the production work on “Gods Forgotten Orbit”. The prominence of the bass guitar, along with the light washes of synthesizer and acoustic guitar sections allow for a very organic, and natural production. The record is neither under- or overproduced, its a delicate balance that gives each instrument its required space without compromising the overall quality of the mix. Unlike a lot of modern releases the production isn’t brickwalled, or compressed sounding at any point. The artwork Thomas Hoechstaedter fits with the trio’s celestial and mythological concepts. With the death metal genre growing more stale, oversaturated and caricatural each year it is heartening to hear bands like Odetosun, who take the genre as a basis to branch out into territory one doesn’t usually associate with the genre. “Gods Forgotten Orbit” is at its strongest when it abandons the death metal foundation for something altogether more breezy and atmospheric. Odetosun is part of a number of European bands reinvigorating the atmospheric subgenre again after a decade. Hopefully we’ll hear more from Odetosun in the nearby future as the direction on, and various aspects of “Gods Forgotten Orbit” beg to be more thoroughly explored. Germany has always had a knack of quirky death metal, and Odetosun and its debut album is no different in that regard.